It is important to take care of your permanent teeth because they need to last your whole life. When your child begins to lose their baby teeth, their permanent teeth will start to come in. It’s up to you to teach them how to take care of their new permanent teeth. Baby teeth or primary teeth start to come in at about six months. Children will continue to get baby teeth until the age of two or three. Baby teeth are important because they help children chew their food, but they also hold space in the jaw for future permanent teeth. Permanent teeth should start to come in at the age of five. The primary set of teeth consists of 20 teeth, while permanent teeth will number 32 (16 on the top and 16 on the bottom). Permanent teeth typically erupt in the same order as primary teeth: front bottom, front top, and then back towards the molars. 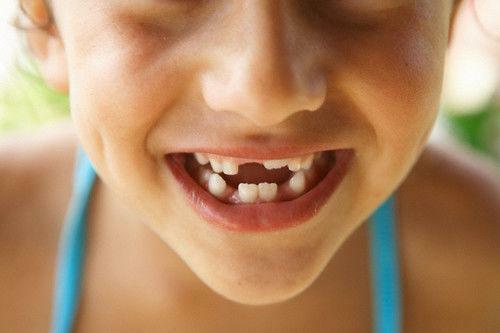 In most cases, baby teeth fall out when they become loose and the permanent tooth is ready to push through. However, if there is tooth damage due to medical issues, trauma to the face, or poor dental hygiene baby teeth may fall out in a different order or early. By 12 or 13 years old, most children should have all of their permanent teeth. This includes four front teeth on the top and the bottom, four lateral incisors, four canine teeth, and eight molars. The wisdom teeth or “third molars” typically erupt between the ages of 17-21 or they may never develop. In many cases, wisdom teeth will need to be removed and you should consult your child’s dentist for further information. Once the permanent teeth arrive, it is more important than ever to practice good oral hygiene habits with your child. In order to ensure a healthy smile throughout their lives, children need to take good care of their permanent teeth from the very first day. They need to brush them at least twice a day, floss regularly and follow exactly what their dentist advises.